Original Russian Officer Police Tulup. 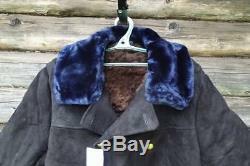 This winter sheepskin coat is very warm, thick and impermeable. It has a high collar. 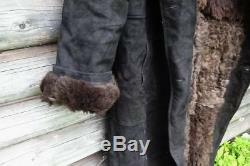 The coat is made of natural sheepskin. It sits well on the body, it is close-fitting. 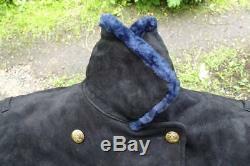 It is fastened with buttons and has inside pockets on each side. 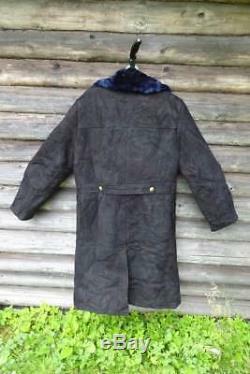 The lining and the collar are made of one-piece sheepskin. 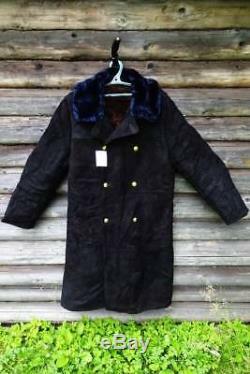 This coat is very warm and protects the body during extremely cold weather and strong wind. It is easily washed and is antiallergic. This is a new product from the storage. Products from the storage - the goods stored in the warehouses of the Army of Russia and the USSR from 10 to 50 years. They may have a storage tracks in the form of spots, discoloration, small cuts, etc. Prices for Police Tulup vary according to color and size. Write a message with your size [look at size guide]. I check the availability of your size. We will reply you ASAP. Our aim is to provide Top Level Customer Service, normally so we will try our best to solve any problem you have. 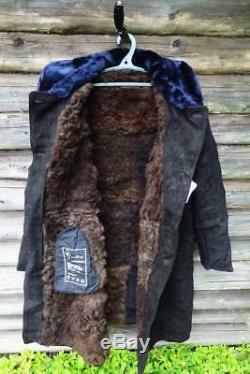 The item "Russian Officer Police Tulup Winter Sheepskin Coat Army USSR Jacket Bekesha" is in sale since Wednesday, July 25, 2018.